Breaking News:Federal University, Lokoja (FULOKOJA) Management Has Postponed the 3rd Convocation Ceremony Due to ASUU Nationwide Strike. 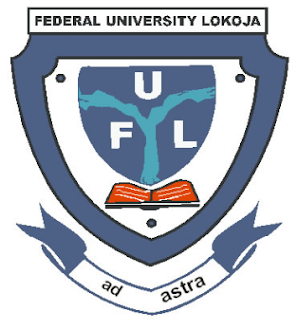 The Management of Federal University Lokoja, on behalf of the Governing Council, Senate, Staff and Students, announces the postponement of the 3rd Convocation Ceremony earlier scheduled to hold on Saturday, November 17, 2018 owing to the ongoing ASUU strike that has paralysed academic activities in the University. A new date for the 3rd Convocation Ceremony shall be duly communicated to Invited Guests and the General Public in due course. Visitor to the University; the President and Commander-in-Chief of the Armed Forces of the Federal Republic of Nigeria, His Excellency, President Muhammadu Buhari, GCFR, the Honourable Minister of Education, Mallam Adamu Adamu, the Executive Secretary NUC, Professor Adamu A. Rasheed, the Executive Secretary TETFund, Dr. Abdullahi Bichi Baffa, the Executive Chairman, Federal Character Commission, Dr. Shetima Bukar Abba, the Chancellor of Federal University Lokoja, Emir of Fika and Chairman Yobe State Council of Chiefs, His Royal Highness, Alhaji (Dr.) Muhammadu Abali Ibn Muhammadu Idriss, Royal Fathers, all Distinguished Guests, Stakeholders and Friends of Federal University Lokoja. All inconveniences caused by this postponement are highly regretted. Remain assured of the Vice-Chancellor’s esteemed regards.